Shares in Next have fallen sharply after the high street fashion chain warned trading remained "extremely volatile" and forecast a sales fall over the crucial Christmas period. The third quarter update also dragged on rivals Marks and Spencer as well as Primark owner Associated British Foods (ABF), in a retail sector that faces pressure from a squeeze on household incomes. Next said full-price sales rose by a lower than expected 1.3% in the 13 weeks to 29 October as mild weather hit demand for warm clothes towards the end of the period - though it was an improvement on the second quarter's 0.7% rise. 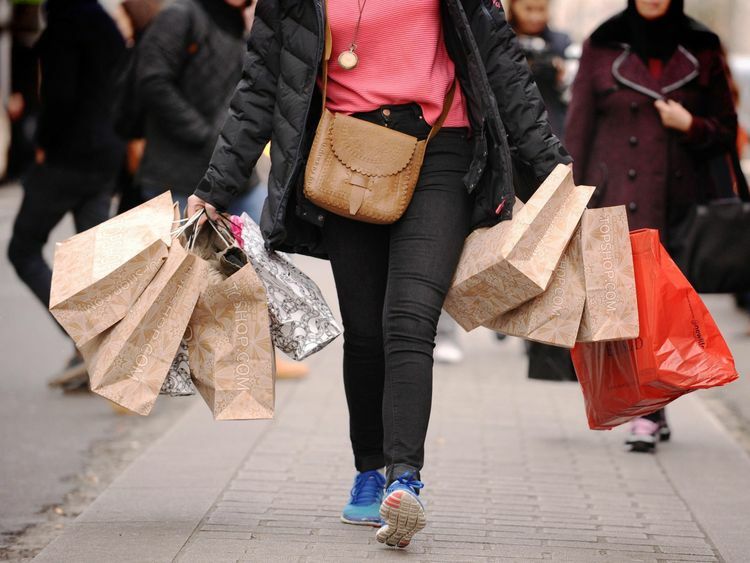 "Sales performance has remained extremely volatile and is highly dependent on the seasonality of the weather," the group said.Shares were more than 9% lower by the close, with M&S down almost 4.5% and ABF sliding 2.1%.The update came as figures from the British Retail Consortium (BRC) showed shop prices continuing to fall, putting particular pressure on sectors such as clothing as the higher cost of imports, thanks to the weak pound, squeezes profit margins.Next said in its trading update that its retail stores were hit by a sharp 7.7% sales fall but the group was saved by 13.2% growth for Next Directory, its catalogue and online division. The company said the overall increase in sales was flattered by comparison with a period last year that saw a big fall.It retained its outlook for full year pre-tax profits for 2017/18 to fall by about 9% and pencilled in a 0.3% fall in sales for the fourth quarter - covering Christmas - following a 0.4% drop last winter. The performance of retailers over the next couple of months will come into sharp focus.They will be hoping consumers do not respond too drastically after a sustained period in which wage growth has failed to keep pace with inflation.Next's shares had climbed 26% higher in recent months on hopes that it was starting to recover after a difficult couple of years.It has suffered from a shift in spending away from clothing and towards experiences such as holidays and entertainment.In April, Next reported its first fall in annual pre-tax profits since 2009 and forecast another tough year to come.George Salmon, equity analyst at Hargreaves Lansdown, said: "While the recent investment in digital marketing seems to have helped the Directory division rediscover its mojo, Next's high street stores saw an almighty slump this quarter. "A particularly weak October means the group enters the all-important Christmas period with less momentum than it would have liked."